I do not want to write this. As a rule, I hate touching on this topic more than it is absolutely necessary. But I already did the teaser in the last entry, so I guess it's unavoidable now. 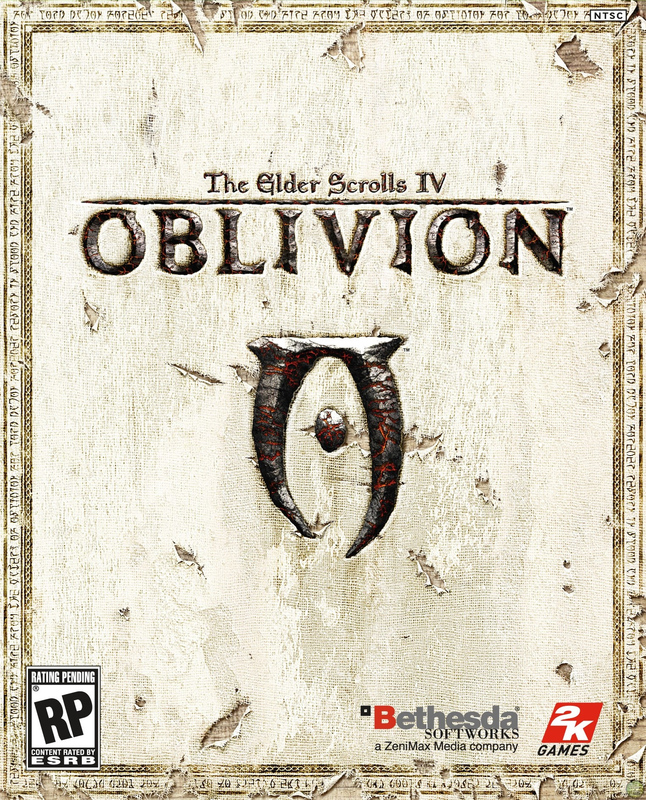 The Champion of Cyrodiil, the player character from Oblivion, is absolutely the most problematic hero this series has ever created. Why, you might be asking? Because the developers had the neat idea to allow the player to become The Sovereign of The Shivering Isles, Lord of the Never-There, The Fourth Corner of the House of Troubles, the Gentleman with the Cane, the Prince of Madness, The Mad God. I am of course referring to the Champion of Cyrodiil taking up the mantle of Sheogorath during the events of the Shivering Isles expansion for Oblivion. It should be obvious to anyone that having one of your gaming avatars become a bona fide god in the context of the setting would be problematic. But making him into one of the "eviler" gods? It's madness. Rather literally so in this case, actually. Unlike the Nerevarine, who basically just exited Tamriel stage right, Sheogorath is one of the most integral elements of the world, and is one of the few reoccurring figures in the games. So not only did Bethesda make it so that the Champion of Cyrodiil would remain relevant in the future (as he would surely already be), but they also put him in a position where it would be rather hard for them to exclude him from future games. The Nerevarine, even without that little detail of him leaving the continent entirely, didn't mean we would ever see him again. All they would have to do is not have us visit Morrowind, or if they did, not a part of it where he currently was. The Daedric Princes, on the other hand, can easily pop up anywhere. Considering the fact that Sheogorath had appeared in all of the games in the main series since his introduction, there is no good way to write him out of newer games. 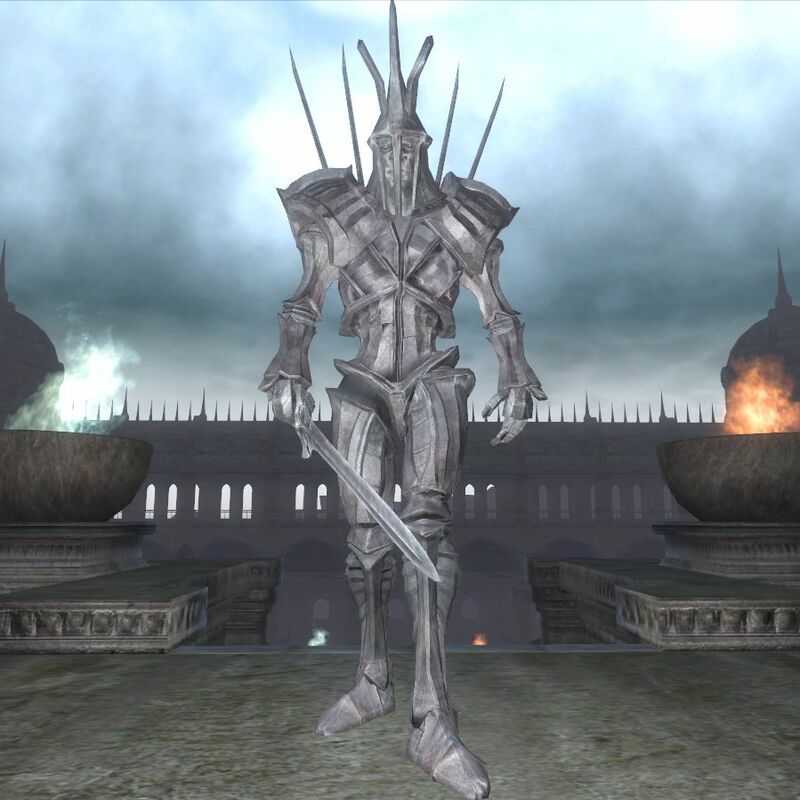 While there was a small way for them to avoid the old hero, by having Jyggalag take his place in the cast of often seen Daedra, that even would not have avoided the events of the Shivering Isles entirely, since the return of Jyggalag is one of the biggest parts of that expansion. To speak tangentially here, for just a moment, the absence of Jyggalag from Skyrim did surprise me. It's hard to just ignore godhood, that's the issue with making a character that we controlled into one, as Bethesda can't ignore Sheogorath as easily as some inexplicably anonymous hero. I had figured that he would have shown up, in some quest where you help him branch out into the mortal realm again. But that doesn't happen, in fact, no one even mentions him a single time in Skyrim. Here's hoping we'll see our new orderly Prince make his return in the next game that isn't an MMO. Even before the release of Skyrim, the Champion of Cyrodiil was causing problems due to this weird situation. As becoming an insane Daedric Prince isn't the ideal end for a character that you made to most people, a lot of fans of the series argued over the canonicity of him being the Mad God. The policy on the UESP is that all quests that do not contradict are assumed to be completed, with conflicting paths being mentioned as being so. But most people didn't want to listen to that, so they argued over it every way possible. Everything from fan theories (including such cliches as it just being a dream, or your character went crazy in the Shivering Isles (which is basically the exact same scenario we currently have, only with Sheogorath still being the old Sheogorath)), to demands that we change the policy, were thrown at us so that this wasn't put on the wiki. 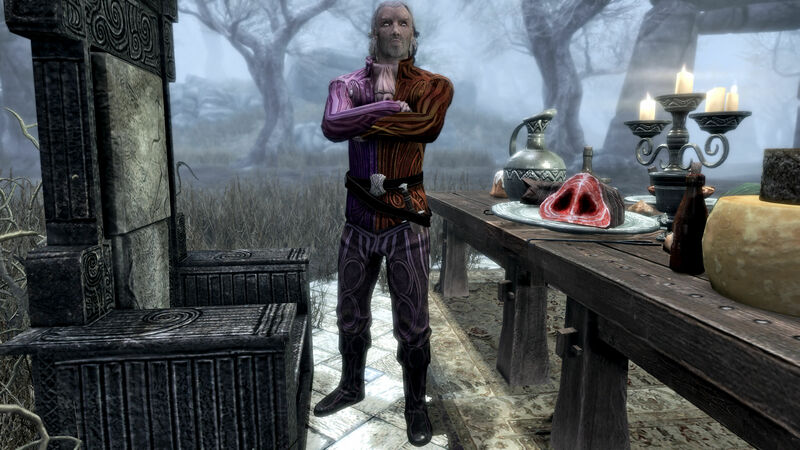 Once Skyrim hit store shelves, the issues with Sheogorath grew so much worse. Bethesda included some lines of dialogue that clearly suggest that he is or was the Champion of Cyrodiil: "You are far too hard on yourself, my dear, sweet, homicidally insane Pelagius. What would the people do without you? Dance? Sing? Smile? Grow old? You are the best Septim that's ever ruled. Well, except for that Martin fellow, but he turned into a dragon god, and that's hardly sporting... You know, I was there for that whole sordid affair. Marvelous time! Butterflies, blood, a Fox, a severed head... Oh, and the cheese! To die for." (note that it is hard to attribute what the butterflies, cheese, or blood may be referring to, as there are so many options for them. However, the original line of dialogue, "You know, I was there for that whole sordid affair. What a marvelous time! I remember blood, and cheese, and there was a severed head." is much less referential than the one that was used) And people went nutters over that, arguing over how we might be interpreting it wrong, or that they meant Sheogorath was there in spirit, or anything to get around saying that the CoC went crazy. But I won't linger on those arguments more than I have already, they were rather not fun, and I would hate to spark them again. The insane idea that the fans are not only the starring role, but also get a say in how the story goes is the unique problem to the RPG genre. There really is not a good way to handle these "used" characters. You can't write them out of the story, just say they went away, or have them remain in the story without some problems arising. After all, the player is not controlling a character, the player is the character. Yet, all the while the player is dictating the shape of the leading role, the development team clearly had some ideas on who that character is supposed to be. They usually express this through later decisions on which one of several possible actions occurred, or just disallowing certain behaviors. For example, the main character in the recent games did not kill children, for any reason (note that I say recent games, the Agent from Daggerfall cannot say the same). Still, while you don't want your fans to have too much input onto the role, by putting them in charge of it, you're going to step on some toes when you say they didn't remove the liver of every grandmother in the world, or even make it so they can't. That is the disconnect between what the player can do with a character, and who that character is. I could go around slaughtering every single nice person in the world as publicly as I want to, but that doesn't mean we have to say that the game character spent the next millennium in a prison cell for the murder of every citizen in the entire country. That wouldn't make any sense. The historical protagonist just has to ignore all that messing about in between the quests, for the most part. It's hard to have the player's character from another game show up in another one if you do anything else, and you don't intend to piss people off. While some people may not like it, there really isn't a cleaner way to run things available. The only real issue with this approach is what happens when the story has split paths for you to take, which is coincidentally the number one issue facing the Dovahkiin, and is the next topic I am going to discuss. Look at that, me still writing blog posts on a somewhat regular basis! This whole blog resurrection thing is taking quite a bit of my time up, but here’s hoping that someone out there likes it.